I have fallen in love with these fabulous Skinny Cow bars…win. They are white mint truffle flavored. Such a nice, refreshing, and light treat. I also was already in love with Thin Mint Girl Scout Cookies…fail. As a majority of you know, it is Girl Scout cookie time. We have a few boxes of them here, of which I have only had a small portion of each box. We are maintaining self-control very well, surprisingly. The two aforementioned items seemingly were meant to be together. I took the ice cream off of the bar and into a bowl. 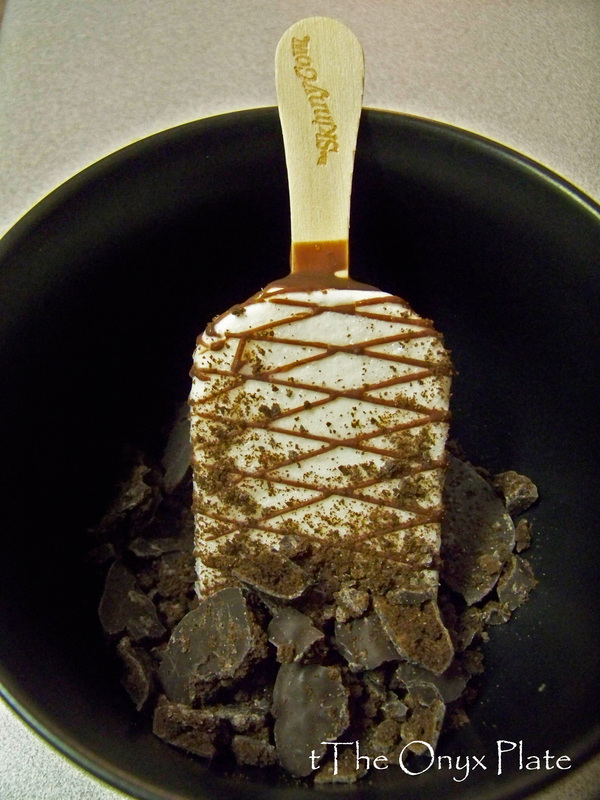 I topped it with 4 crushed up Thin Mint cookies…this was a match made in heaven! I shouldn’t unskinny the cow very often, but this was a nice change. Next Post The BIG 1-0-0 and Tillamook! Thank you! Someone told me recently of an event that happened in Florida in which a 400 lb. woman attacked her roommate because she thought she had stolen her thin mint cookies. True story. That being said, thin mints really ARE that good, so it’s understandable. I saw that!!! Can you believe that? But, yes…proof they really ARE that good!